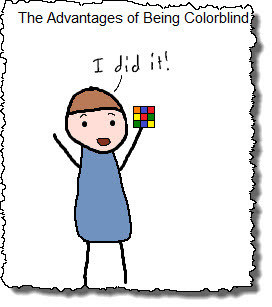 Does being colorblind mean never having to be blue? 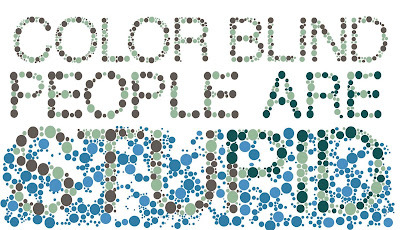 Bits & Pieces has some interesting facts about color-blindness. Phew, that was close! I almost learned something! One of the more amusing (or controversial) pieces from the Christopher Fisher showing at 58 gallery. 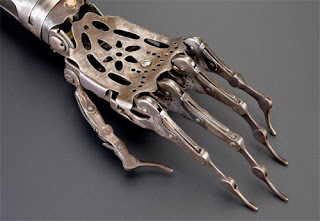 Can you gimme a hand here? Rose McGowan played a stripper with a heart of gold and a leg of gun in 2007's Planet Terror. Trailer for one of my most favorite funny movies ever, the Farrelly Brothers 1996 gem Kingpin. Obi Wan had a cat? Despite all his cool trips to Tosche Station picking up power converters and whatnot, deep down Luke is still pretty much of a dork. 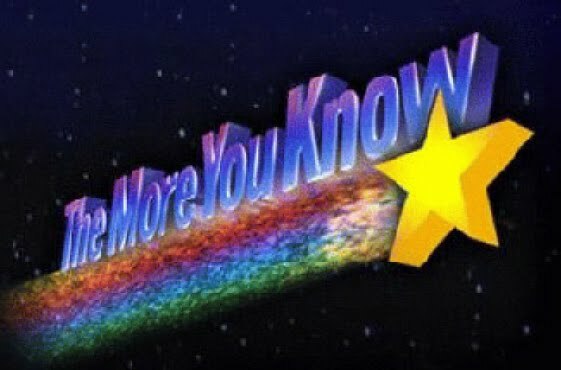 The correct plural forms are as follows: surgeons general, brothers-in-law, Spiders-Man. Real estate listings should not describe a building as a "murder house." Be specific: ax murder house, chainsaw murder house. "Ophthalmologist" has an 'h' in it. A handy mnemonic for this is that the 'h' stands for, "Huh! There's a 'h' in 'ophthalmologist'!" Is it illegal to text "Fire!" in a crowded theater? 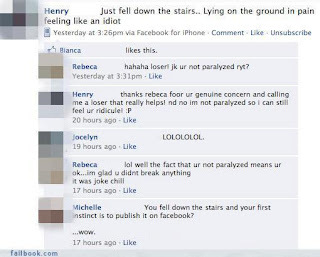 Thank God his texting thumbs weren't damaged. Maurice Moss from the BBC's sitcom "The IT Crowd" hopes technology will save the day. L.A. musician Andy Rehfeldt re-records popular music in unexpected styles and comes up with a world where Motorhead sings "Ace of Spades" Broadway Musical style, country legend Conway Twitty gets his Cookie Monster voice on with a death metal "I See the Want To in Your Eyes" and where Slipknot performs a lovely Radio Disney-ized version of "Wait and Bleed" (warning: pleasant-sounding as the Slipknot song is -- and who thought anyone would ever type that combination of words -- there are a couple of instances of NSFW language going on). A couple of my other favorites below, but really, do yourself a favor and subscribe to the AndyRehfeldt YouTube channel. The Vintage Ads blog is currently running a contest to find the Creepiest Kids Ad, and this is one of the five finalists. 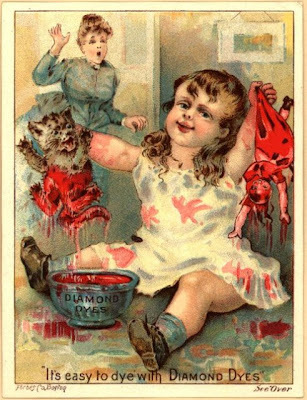 We may never know why they thought blood-red dye was the perfect color choice for this ad, making it appear that Little Miss Dahmer has just skinned the kitty, but we're glad for the lapse in judgement just the same.